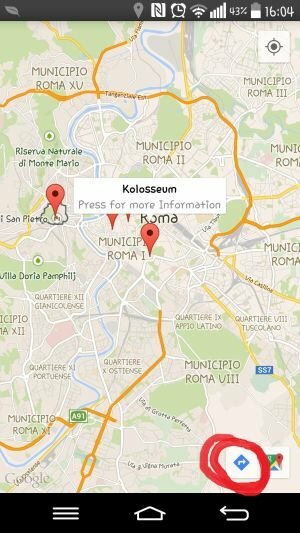 How to: Own Button that opens Google-Maps-Navigation? I have a Problem with Android Studio. Like you can see in the first Screenshot. When you click a Marker in any Google Maps Activity, an Direct-Link-Button appears on the right Bottom. When you click this Button Google Maps opens and starts a Navigation. Now I want to add this function to the Button in the second picture. Does anyone of you know how this works?